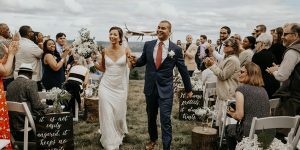 Once you’ve finalized your wedding dates overseas, the very next step is to figure out how to plan a budgeted destination wedding away from home on the other land. More often than not, destination weddings are intimate ceremonies one basically wants to host. Hosting a wedding away from home, amidst beautiful scenic views with few close people, the only thought and the entire feel of getting wed-locked in some other place is mesmerizing. People mostly have pre-conceived notion that a destination wedding can’t be hosted in a budget. 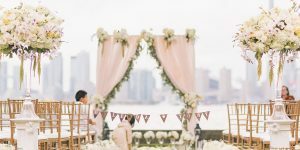 If you’re prepping for a destination wedding, you must know that to host a destination wedding on some other land needs tremendous planning and time. 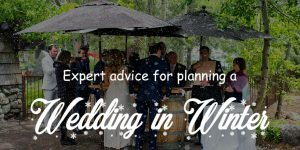 You are right destination weddings are a pricey affairs and to make it a budget – friendly affair a lot of planning is needed. Whatever, don’t let budget constraints crush your dream of having a destination wedding. Worry not! Here are 25 smart tips to plan your budget-friendly destination wedding to make your big day as pristine as it can be, regardless of where in the world you get hitched! First thing first, whether yours is a wedding in your hometown or in some other location i.e., a destination wedding, the first and foremost thing you need to do is set a budget for your wedding and spend wisely on the other details howsoever you want to make your big day a special one for everyone and for yourself for the lifetime. Destination wedding in a peak season will price you too much. Though dates in off-peak season are few in Indian wedding system, but the best part is there are dates in off-peak season too. If you’ll host your wedding in off season, you will get best price as there are few weddings and the chances of best deals are very high in off season wedding. Be smart, find a good muhurat or an auspicious date for your wedding in off season and host a budgeted destination wedding and save money for your honeymoon. The moment you have dates in your hand, the first thing you do is to start planning your wedding. Of course you very well know that it is a destination wedding you are looking forward to, but before that it is advised to envisage the big day. What exactly you are looking for your wedding like; is it a beachy wedding that you are looking or a wedding amidst mountains or desert. Wherever it is, first thing first then only you would be able to figure out the budget and other details of your destination wedding. Also, once you know the location to host your wedding, you can work on the other details like your style, colors and design. If you’re among those lucky people who gets early-bird discounts or best deals what else can be best in your destination wedding planning. Planning early is very important, deals keeps on coming your way when you plan early for your wedding. You have multiple options to scour and go for the best. Even you can get best deals on airfares also. Be an early bird and get the best deals!! 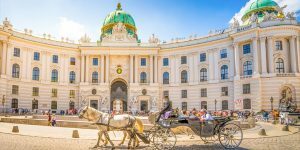 Once you’ve picked the setting, it’s time to choose the city where you’ll be saying your wedding vows with your spouse to be. Like peak-season weddings there are common and uncommon places to host your weddings. Hosting your wedding in popular destination will cost you too much as they are highly expensive at all times. Go offbeat, find out an unconventional place which is explored less. There are myriad of options you can opt from Mussoorie to Agra, Nainital to Rishikesh, as per your taste and style. Always remember, your wedding is once in a lifetime event, follow your heart and find out a beautiful lesser-known place and host your wedding. Your venue should be easily accessible otherwise you will end up providing cabs to one and all who are attending wedding and this will again add to your cost. Before booking your wedding venue see that it has enough rooms to accommodate you and your guests well. Otherwise later you will have to book few cabs to make your guest’s travel arrangements from their hotel to wedding venue. There is no point adding to your cost in which ways. Travel cost in destination wedding is a major cost as you have to take care of many people traveling. It is recommended that you book your air tickets well in advance, if you book your tickets say eight month or more than that before you can get exponentially low fares and if you think you can get best deals at the last minute, it is just a gamble and nothing else, last minute discounts are only possible if there are seats left and you never know what is going to happen in future, it is highly unpredictable, better book in advance. Also, if your wedding destination is just a overnight journey and not so far from your home town than the best you can do is book a luxury bus which will carry all your family members and other guests to the destination and will cost you comparatively very, very less. Bingo!! Hiring a wedding planner will price you again, so it is good if you recruit a help who can take care of things efficiently, a person who understands your style and taste, who knows you well and the one who you trust well. Recruit someone from the family or friend who you can trust completely and you know that you will get what you desire. He/she can be your friend, your brother or your cousin anyone who you trust can be a great help money-wise and otherwise also. Well, this is going to be a harrowing task overall, as it is trickiest to decide who will be the part of your big day and who to chuck out from the list. Trimming down your guest list will help you save a lot of money, already it’s an intimate ceremony which you want to host for only few family members, close relatives, friends. Be wise while preparing your guest list as it will directly affect your budget for sure. Make necessary cuts wherever you feel like and invite those who you feel important and their presence is mandatory. Sit with your spouse to be and both families to create the list in accordance. It will help you slosh down the expense of their travel, accommodation, meal, etc. 12. Keep The Big Day Small. Indeed it’s your big day, but keeping the whole thing small will save you a lot. There are certain locations which provide you variety of flexible packages if you have a list of only few guests say 30 – 40 people at the most. All your expenses like food, accommodation, music etc, can be covered in the most affordable manner. Have an intimate wedding, have only closest family and friends in attendance. You can always host a reception in your city for the rest of your acquaintances. 13. Go For An All-Inclusive Package. While booking your venue for your destination wedding, see if you are getting all-inclusive packages, there are motley of places which offer all-inclusive packages. Choose a package that takes care of almost all the wedding details—without any hidden cost. This all-inclusive includes decor, flowers, music, photography, accommodation, guest’s meal and more. Going for all-inclusive package, you will not only eliminate the price tag of paying for each individual service but also save a lot of money. Going for printed designer invitation for your wedding will be unnecessarily extravagant. Use technology and send your guests save-the-date. It is a beautiful way not only to save the money but the environment too. Also, you can DIY your e-vites for your wedding and this is downright hassle-free procedure; you can be creative at your best to create your e-vites. Write a poem or your love story on the invites and send it across your guest list, they will also admire you for your creativity. That’s fine your wedding is a destination wedding but it is not necessary you have to book vendors from your hometown because you trust them, this way you will add to your overall expenses as you will end up taking care of their food, accommodation and travel also. That’s not wise at all, when we are looking for a budgeted destination wedding. Book all your wedding vendors from photographer to florist, from DJ to make-up artist, everyone who is based in or near your wedding venue. Like if you are a Bangalore based couple and looking for a wedding in exotic Himalayan region then book your vendors locally. The best thing which can happen in off-peak season destination wedding is the chances of getting discounts from vendors are very high. 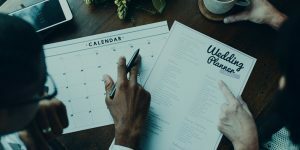 If you’re getting hitched in off-peak season it’s a good time to look for vendors who are offering discounts on their services, they way you will be able to save money altogether. This is something reasonable you are looking for on your wedding to make it memorable for one and all. Indians are blessed with negotiating skills undoubtedly, go anywhere you’ll not find any Indian buying anything in one go without negotiating on prices and this is the skill we are born with. 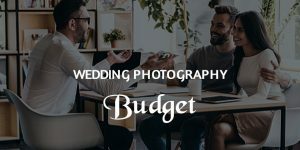 Hence, you also use this skill and negotiate with the vendors for the best price, you never know when you are lucky and you get a nice wedding photographer in good prices, they have several packages and deals you can choose as per your budget. Well, it is recommended to visit all your vendors personally but in case of destination wedding it seems a little tough, also it cost you a lot of money too. Connecting with people across globe was never easier than today, here, in such a situation you can most efficiently make the best use of technology to meet your vendors and save your money. There are many applications to do so like Whats-app, Skype etc. Just set a video call with them, once you know that you have got the vendor to go ahead with for your wedding. Well, in a wedding many close relatives and friends plan to buy an expensive gift in such a situation you can always ask them to sponsor a vendor, may be your wedding photographer or one time meal or may be the florist etc.. This is also a nice way to cut on cost and there is no harm in asking your people about their budget they have set for your wedding present. No need to feel shy about it, you can ask you might save some money this way. There is no point someone gifting you something which you already possess, it’s good to ask and propose them the other choices. Rent It: You may have wondered many a times that why people spend so much on their wedding outfit but when it comes to buy our own we also join the race and buy the most expensive wedding outfits for a two day celebration. And it happens always, whether you agree or not but it’s true that your designer wedding lehnga and your reception gown is not going to be used ever again in life. But the money which you spend on buying your wedding outfits s huge. How about renting a wedding lehenga and reception gown? Well, the idea may sound weird to you but trust you me, it is the best way to save money on your wedding. You know your lehnega can cost your entire wedding shopping if at all you give a thought to rent your wedding lehnga, not only this you will get sundry beautiful options to choose from that too in just minimal rent. Save, and use that money in something else, there are so many things to care in a wedding. See If Your Aunt Sponsors Your Wedding Outfit: As I said your relatives and family members also set a budget for your wedding gift, there is no harm to ask them if they can sponsor your wedding outfit, you will save a huge amount and off course it will be a proud moment for your aunt too when she will see you in that lehnga gifted by her. Set A Wedding Outfit Budget – Stick To It: Well, if you have given enough thought to the above mentioned tips for your wedding outfit and still you are looking to buy an outfit for your wedding then the best you can do is set a budget for your wedding outfit and religiously stick to it. See, you may be lured by varieties in the market but you have to be clear about it if you wish to have a budgeted destination wedding a memorable one. And trust that getting a wedding outfit in your budget is not tough for sure. Wedding demands lots of shopping, make a list of what to purchase beforehand and then go for shopping with your bridesmaid as you know wedding shopping is pricey and you never know when what entices you which you will regret buying later. Make it a point that you buy only what is most essential. Initially everything while shopping seems important but it is not necessary that what all you buy for the sake of your wedding is important. Buy wisely, you will save much more than you thought. Here comes the wedding decor, one of the pricey expenses altogether. It is one of the major expenses in the wedding which can cost you anything from some thousands to lakhs. If you choose wisely you can still save money on the decor part also, opt for minimal decor or you can go with resourceful decor elements like fairy lights, playful signage, colorful drapes, and anything which is easily doable. 23. Use your surroundings as your backdrop. When you are already spending huge amount on your destination for your wedding, why not to use the surroundings as backdrop for the wedding reception rather to go for extra decor for the same. It won’t be wise to spend extra money on decoration instead use your scenic surrounding as a backdrop to add that extra flair to the overall function and make the best and the most memorable one. You can minimize your expenses, there is no need to splurge on extra decor when you are already surrounded by the natural beauty, like if Goa is your destination for your wedding then nothing can be as beautiful as the beauty environed by the beaches and sandy sea. Use it for your wedding; it will be more luscious than the artificial one. Go On!! Well, you can give it a thought to make your wedding destination your honeymoon destination as well. Most couple do this, they choose such location where they have never been before and host their wedding and once the celebrations are over they extend their stay in the place to spend romantic time with each other. For budget-mindful newlyweds-to-be, it is good to extend your trip into a honeymoon, this way you don’t have t plan for another vacation also you will save on airfare too, isn’t it a great idea to go ahead with. If you want you can upgrade your room, many resorts or hotels offer honeymoon packages along with perks, you can take advantage of value added services… you can get good deals by doing so as you are already hosting your wedding there. Or else you can change the hotel look for more options, but all in all you will save money and time both, which you can spend together in doing some great stuff together. Enjoy!! Last but not the least, once you have finalized every single detail of your destination wedding the best you can do to keep the entire show get going is to stick to your budget which you have set initially. Don’t be lured by things which may entice you in the planning. For a budget-friendly destination wedding it is indispensable to have a budget-friendly mind too. If you know how to control your unwanted extravagant desires you are very well equipped for a budget-friendly destination wedding. Destination weddings are no more a distant dream if you equip yourself well with the above mentioned smart tips before going ahead with the idea. You will love your wedding ceremonies from core if you and would be able to make it a memorable one for the lifetime if you use these smart tricks.